New years holiday, I was walking on the street, and found my friend in a bar. She gestured me to come it, so I went there and interestingly at the bar, people were doing Kakizome, a special piece of calligraphy for the New Year. Kakizome is Japanese traditional event for the new year. You write your dreams or goals of the year in New Years Holiday. It’s nice to set goal, so I decide to do it. Mine is “fullfill” myself and make myself happy. I’ve learned Japanese calligraphy for almost ten years. 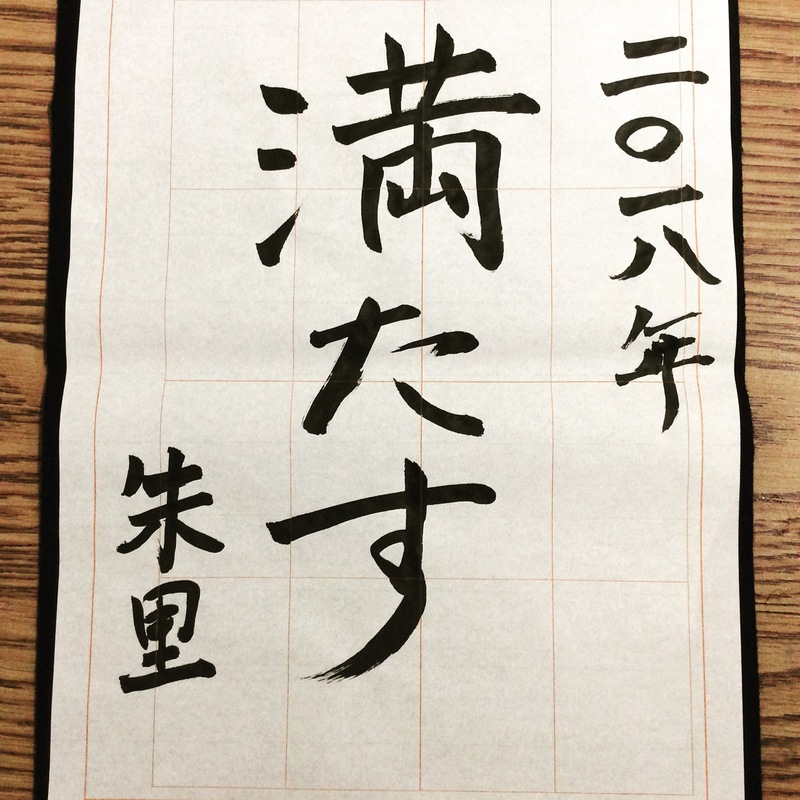 The bar master complimented my writing, and I remembered how I was enjoying Japanese calligraphy.